Fancy a race? Whether you're looking to unleash your inner petrolhead and tinker with mechanics, or just hop into a shiny gas guzzler and knock out a few laps, we've got you covered with the best racing games we've played in the last few years. All comers are welcome, whether you're on a PC, kicking back on the couch with a console, or on the bus with your phone. First things first: if you're a devoted racing fan, chances are you've been a subscribing member of iRacing.com's legendary online community for years, as it's the undisputed champion in the PC racing space. But if you're not ready to dive into a 40,000 strong virtual racing nation (and shell out for a monthly subscription), strap in, grab your racing wheel (or controller, or mobile device) and check out some of the best new racing experiences around. Forza 4 is getting a bit long in the tooth, but you'd be hard pressed to find a game that supplants this masterpiece. It has everything: over 500 cars, from frumpy hatchbacks to legendary racing relics. It's simulation-savvy will have you tinkering with gear ratios and drivetrains, but there are plenty of optional driving assists for racing neophytes. Most of the 26 gorgeous tracks are based on real raceways, and you can take the competition online, forming car clubs with your friends. If you're a racing fan, this one is arguably worth picking up an Xbox 360 for--though the next game in the series is due to arrive with the Xbox One later this year. In Trackmania, speed is king. There are no powerups or drifting challenges, cars to modify or even choose from. Just you, the insane courses, and a record time to attempt to beat. There technically aren't even other players: competitors dart about the track when you play online, but you can't collide with them and there are no "positions" in the traditional sense, just a record of top times and that sinking feeling when StudMuffin47 shaves a tenth of a second off your best effort, and then drops a smiley face into server chat. The cad. Stadium hasn't been released yet, but the open beta has been running for months, and is currently completely free. The second entry in the Grid series doesn't drift too far afield of its predecessor. A disparate collection of motorsport events are cobbled together to form a single globetrotting competition, coupling traditional circuit races with point-to-point cruises through major cities and the occasional drifting challenge. It straddles the line between arcade and simulation: you won't be tuning cars or upgrading them, and a rewind option lets you recover after a gruesome crash or botched turn--though you'll only get a few chances to do so each race. It's also rather lovely, and while it doesn't build on its predecessor very much or stand out too noticeably from the crowd, it's an entertaining romp for folks who are in the mood for a bit of fun. I rarely feel as out of my element as I do when strapping into a single-seat rocket on wheels and attempting to round a corner without plowing headfirst into the stands. Fortunately, my tires blew out long before I had the chance to botch the turn: the danger of mindlessly futzing with tire pressures after cheekily turning off all of the driver assists. Codemasters is at the peak of their simulation game here. You'll be fine tuning mechanical details, accounting for weather conditions and road temperature, and generally trying to keep these monsters upright as you compete at F1 circuits around the world. The uninitiated can always rely on suggestions from your pit crew and the Flashback feature, which lets you rewind the action when disaster strikes. The Forza series has traditionally distilled simulation-grade racing onto a console package replete with hundreds of cars, varied race locations, and challenging tracks to master. Forza Horizon... doesn't. It's a spinoff, an open-world racing game set during a fictional racing festival that awards points for daring maneuvers, sweet jumps, and near misses (or epic crashes). In short, it's a Forza for the rest of us, keeping much of the series' simulation cred while letting its hair down a bit. It encourages exploration, driving recklessly to best your friends' records and simply enjoying the spectacle. Wipeout 2048 is as far removed from simulation racers as you can get without diving into pastel hues and go karts. The classic combat racing series has been revamped for Sony's latest handheld console, but it's still all about blistering, dizzying speed. You don't drive so much as mash the accelerator and hold on for deal life, blithely swatting the air brakes in a vain attempt to correct your course. Munitions dot the track and give you the means to dole out a bit of punishment and slow down the rest of the pack. But do you spend those rockets taking a potshot at whoever's in the lead, or recharging your precious shield energy, lest your next bad turn end the race for good? Here's a shocker: a kart racing game starring non-Nintendo mascots that's actually really good. Sure, it doesn't make any sense--why does Sonic the Hedgehog need a car?--but great gameplay and a fair level of depth more than make up for the leaps in logic. Sonic will be facing off against characters from many of Sega's franchises, including Crazy Taxi, Jet Set Radio, and... Football Manager. Winning events on the gorgeous tracks awards you with experience points to level up your driver of choice, and stars to unlock new characters and courses. It's definitely not for racing fans looking for something serious, but if you've grown tired of Mario Kart, it's well worth a look. It's Mario Kart, again. If you've played any of the games in the series the general structure will be familiar: hop into a go kart piloted by one of Nintendo's iconic mascots and dart around tossing shells and bananas at opponents. Mario Kart 7 adds a few new twists: you can customize your kart, tweaking the body, wheels, and wings--a refreshing new addition to the series. Classic maps from the series' history make a return, upgraded to fit new mechanics. Of course, if you're looking for something a little couch-friendly, there's always Mario Kart Wii or Mario Kart 8 for the Wii U. 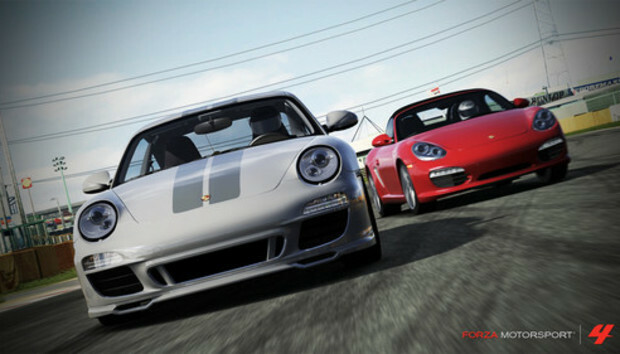 The latest entry in Electronic Arts' Real Racing series ditched the price tag, but came saddled with onerous in-app purchases.This proved a bit contentious: wear and tear slowly grinds your vehicle to a halt, demanding that you either set the game aside for a spell or pony up some real world cash to get the action going again. I'm not convinced it's a dealbreaker. Enforced breaks every few races are annoying, but the game is otherwise rather nice: you'll be racing against friends (asynchronously), attempting to beat their best times as driven by AI doppelgangers. The racing is fluid and fun, and while car modifications and the like aren't as robust as heftier titles, it is, overall, an entertaining experience. The Need for Speed series' Most Wanted line generally involves fleeing the long arm of the law, and the action isn't bad when ported over to mobile devices. The open-world exploration aspect is gone, replaced by a standard, menu-driven series of events. But it's still quite fun, and while there are plenty of microtransactions lurking about (this is an EA game, after all) you can earn just about anything in the game with a bit of solid racing. It looks good, too. Avoid the cops and finishing first is your primary concern, but barreling down a busy freeway is all the more compelling when the roads are slick with rain, and ghostly tunnel lights are reflected across your car's chassis.